Sata ... death in London. Sata, 77, left Zambia for medical treatment abroad on October 19 accompanied by his wife and family members, according to a brief government statement that gave no further details. He missed a scheduled speech at the UN General Assembly in September amid reports that he had fallen ill in his New York hotel. 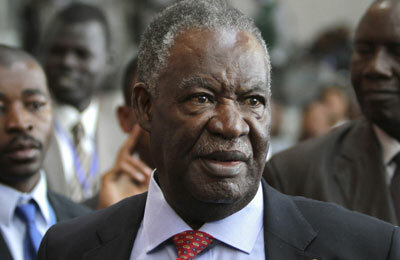 A few days before that, he had attended the opening of parliament in Lusaka, joking: "I am not dead."